7-Eleven announced in a press release that Apple Pay and Google Pay will be accepted in most of its U.S. stores throughout September. This follows 7-Eleven’s previous acceptance of Samsung Pay. The press release points out the security, privacy and simplicity of Apple Pay and Google Pay. There is no doubt in my mind that there are plenty of people reaching for their smartphones, instead of their wallets, whenever they want to make a purchase. But, I don’t see that being the majority of people who make purchases at 7-Eleven. 7-Eleven is a convenience store. It’s a great place to go when you are traveling and need to pick up some quick snacks and a soda. It is where you go when the grocery store is closed and you just need a couple of household items. In other words, 7-Eleven isn’t competing for customers with local restaurants or stores that sell expensive electronics. InfoScout says that 7-Eleven customers are generally low income young adults. As a group, their average “basket size” is $15.66. I’m unconvinced that 7-Eleven’s customers are going to spend more money, or visit the store more often, as a result of Apple Pay and Google Pay being accepted forms of payment. Credit cards, debit cards, rewards program cards, ID’s… The list of small plastic rectangles we’re saddled with is just one of the costs of doing business in the 21st century. Technology has been relatively slow in terms of providing solutions to the glut of cards we have to carry around every day. The rise of mobile apps has given us some relief, as many rewards programs are now operating with a simple scan of a barcode on a smartphone screen. But due to the complex nature of banking security and credit cards, mobile payments have taken longer to catch on. We’ve seen some progress in this field recently with the introduction of Apple Pay. And while it’s incredibly swift and convenient for users of iPhones and Apple Watches to tap their devices against a payment terminal, Apple Pay has experienced a relatively slow rollout. There are still only a limited number of vendors that accept the service for payment and there are still many payment institutions that don’t even support it. And now Google is prepped to launch its own mobile payment system, one that could bring simple tap-to-pay technology to the millions of Android phones on the market. Faced with these challenges, Apple may be looking at ways to increase user and vendor adoption of Apple Pay. Rumors are circulating that the company may introduce a rewards program of its own at the upcoming Worldwide Developer Conference in June. Details are slim on what this program could offer. Maybe it’d be a points system that’d allow users to trade in those points for products from the Apple Store. Or perhaps Apple would limit its rewards program only to digital products such as music, movies and apps. And since Apple Pay works with third-party banks to handle customer accounts, it seems possible that users could actually collect rewards thru this proposed Apple program as well as whatever rewards system are in place with their connected accounts. Time will tell if the Apple Pay rewards program becomes a reality. Regardless, it’s good to see that Apple is working to expand its mobile payment service. My pockets are getting heavy under the weight of all of these cards! 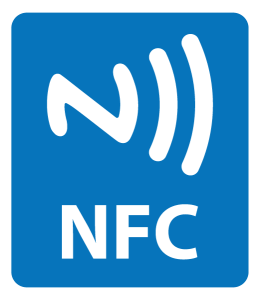 NFC, short for Near Field Communication, is a technological set of standards that has been around for several years. Many Android phones have come equipped with NFC chips for several years. Some retailers along with fast food outlets such as McDonald’s support NFC transactions on every credit card reader. My first NFC-enabled phone was a Galaxy S3, but I never felt compelled to even give it a try. For some reason I made the completely erroneous assumption that if I paid with my phone via NFC it would be charged to my phone bill. Since Apple is now supporting NFC with the introduction of the iPhone 6 and 6 Plus phones, I decided I would give NFC a try on my Note 3 using Google Wallet. I already had a Google Wallet account because I have bought apps via the Google Playstore. I have also used Google Wallet to purchase hotel rooms via online booking. To use NFC, I installed the Google Wallet app on my phone. I authorized the app to tie to my existing Google Wallet account. I authorized the Google Wallet app to use my existing debit card by setting up a pin number inside the Google Wallet app. Next I went into the phone settings to turn on the integrated NFC radio chip. I used NFC for the first time today at a McDonald’s in Shelby, Iowa. When it came time to pay, I simply turned the phone screen on and held the phone against the top of the McDonald’s credit card reader where there’s a sort of sideways WiFi-like symbol. It’s not even necessary to start up the app – that happens completely automatically. It popped up on my phone screen asking me to input my Google Wallet pin number, and the transaction was quickly completed. The McDonald’s order-taker and his manager were astonished! It automatically debited my bank account. My existing bank debit card remained in my wallet. As nearly as I can tell, the Apple Pay version of NFC differs from Google Wallet and other NFC payment schemes in that the Apple Pay app only works on NFC-enabled iPhones. The iPhone 6 finger print reader substitute’s for the pin number. It is possible to pay using Google Wallet in two basic ways – either have it pay via a selected debit or credit card, or set up a Google Wallet cash card that you can transfer money into and out of. With the Google Wallet cash card it is possible to email money to anyone with an email address, which would require them to set up a Google Wallet account in case they don’t already have one set up. Will I use NFC again? I certainly will. I’m constantly on the road and I find myself eating at McDonald’s and other fast food outlets far more than I’d like. So long as an NFC terminal is set up and I would be paying with my bank debit card, I will try utilizing NFC instead. Perhaps now that Apple is putting its marketing, educational, and PR muscle behind NFC it will finally have a chance to catch on. If nothing else it’s worth it just to see the amazed reactions of the store clerks!